The Central Library in Dunfermline was the world's first Carnegie Library. In 1879 Andrew Carnegie had offered his native town £5000 to build a library. This library's success must have been a factor when he decided to finance a worldwide programme of almost 3000 public libraries throughout the English speaking world. 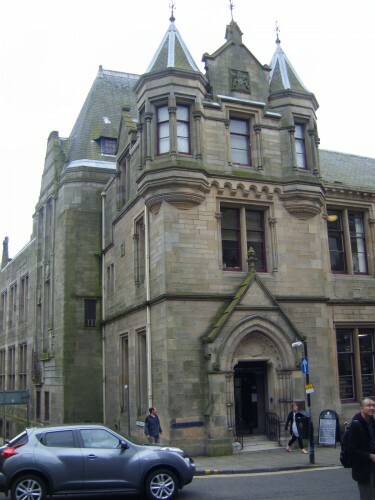 In 1904 the management of the library was taken over by the Carnegie Dunfermline Trust , who completed an extension to the original building before transferring control back to the Town Council in 1922. The Trust continued, however, to contribute £400 per annum to the library until 1958, when the Council assumed the full cost of the service, including the latest library extension in 1993.